When Cyclone Maria hit Rockhampton, Queensland in 2015, the whole community quickly joined forces to repair and rebuild local homes and businesses. 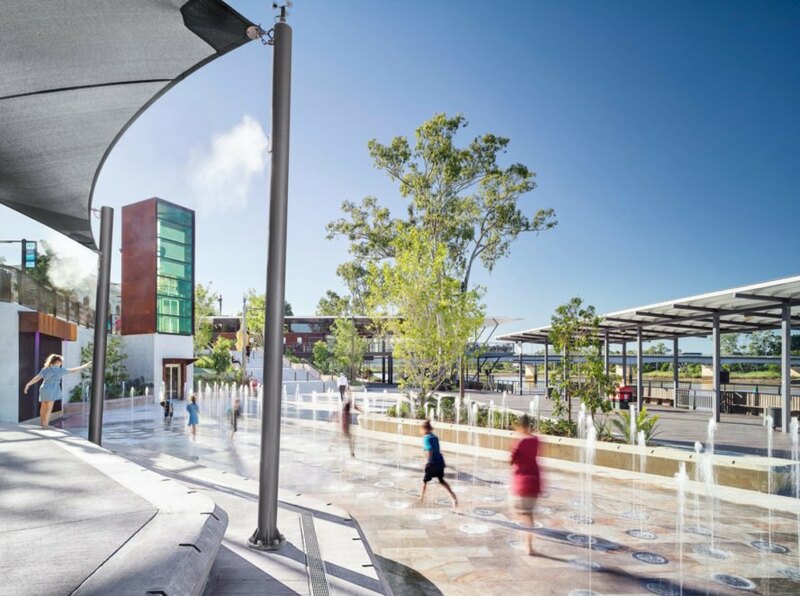 Now, one of the most prized assets of the community, the Rockhampton Riverside Precinct, is getting a major makeover — led by Woods Bagot — that everyone can enjoy. The massive riverfront pier site suffered from neglect even before the cyclone hit, but its potential was steadfast. 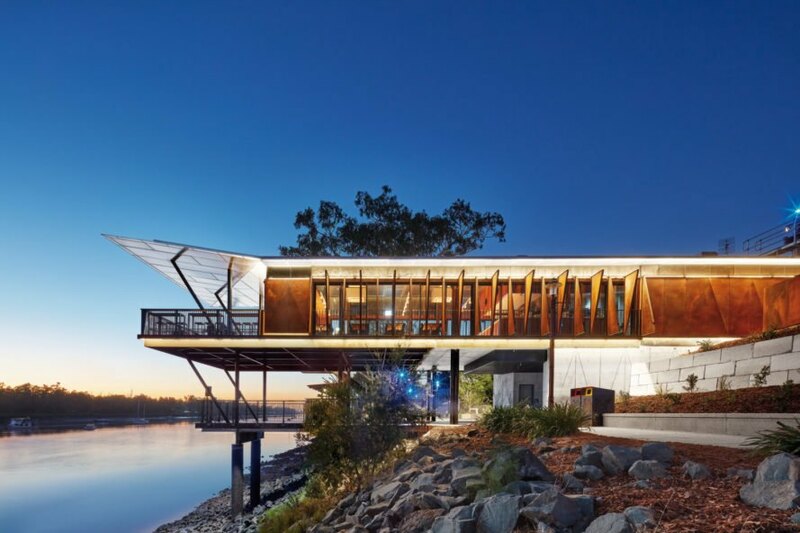 Architectural firm Woods Bagot is at the forefront of the renovation of the pier and adjacent structures and is intent to restore the two-story landmark back to the community hub it once was. Not only will the pier be overhauled and upgraded, the site will be designed to offer something for everyone, from kids to adults. The plans include interactive water attractions, galleries of local artwork, lush terraced landscaping, a playground and plenty of open space for mulling around or just taking in the picturesque surroundings. 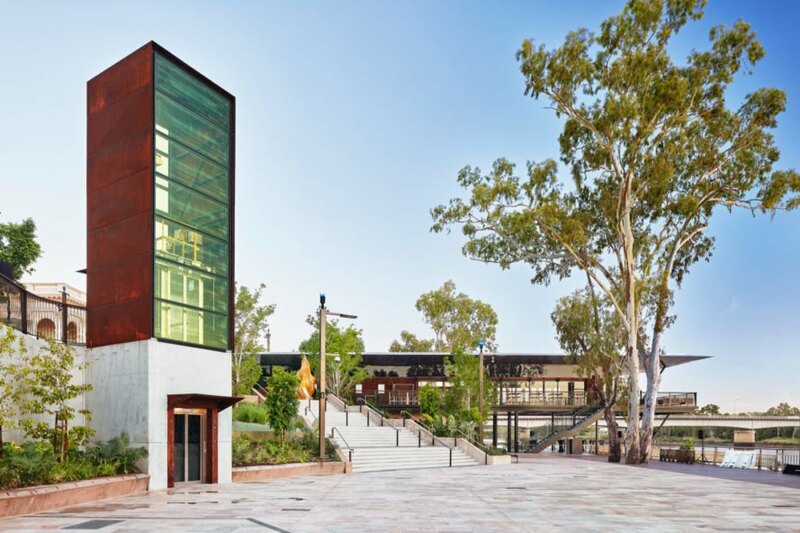 Local businesses, including a new restaurant celebrating the region’s fresh produce and seafood, will round out the attractions at the Rockhampton Riverside Precinct. The rich auburn exterior of Corten steel will include embellishments of silver, gold and copper, homage to the region’s history of ore mining. Green aspects of the project include solar roof tiles that produce electricity for the project’s power grid, plenty of charging stations for electric cars and sites for bicycle maintenance and minor repairs to encourage green transportation. 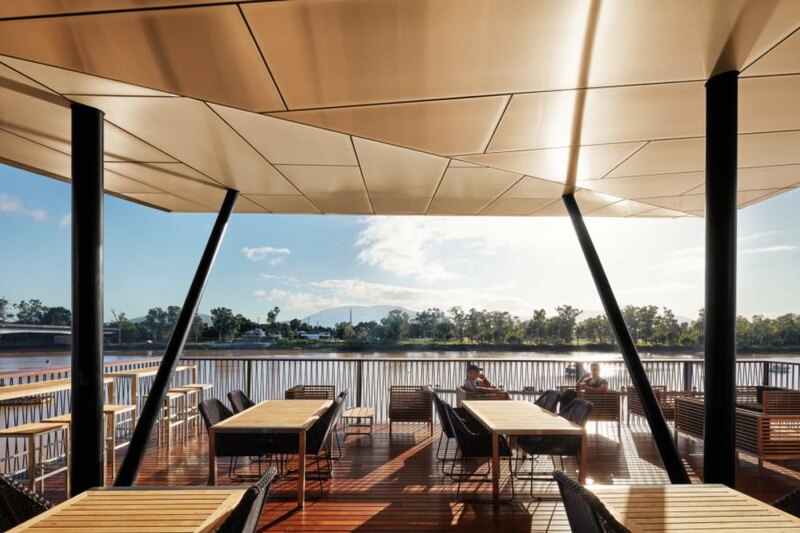 Instead of energy-hungry cooling systems, the complex largely depends on keeping the atmosphere comfortable with huge roof overhangs and fresh breezes off the water wafting through the open hallways and deck. Images of ancient ship masts come to mind as the winds whip through the structure, impatiently changing direction as nature dictates. Sculptures and art enhance the beauty of the natural surroundings. The project aims to enhance the pier and surrounding structures. The end of the pier features canopied patios for dining. 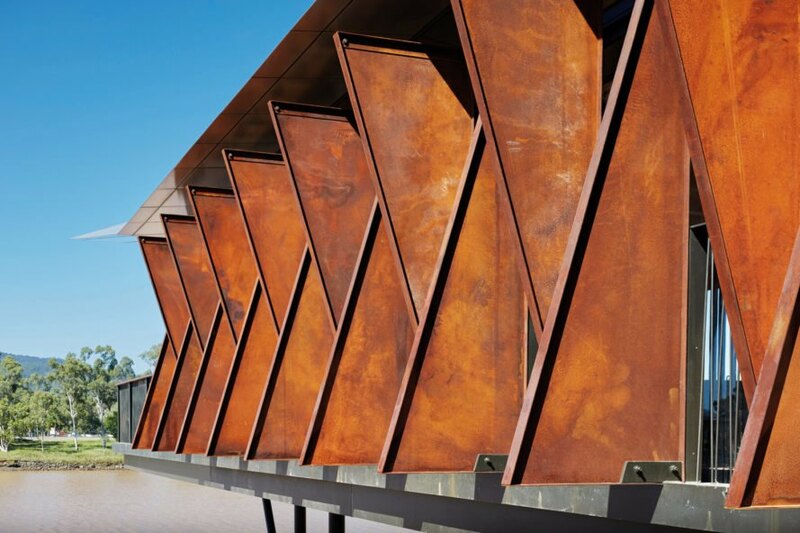 Corten steel and metallic accents embellish the exterior. Kids and adults can enjoy the sights and sounds of the waterfront. Soft lighting glows as dusk tiptoes in. Extended decks provide exciting views of the sky and water.